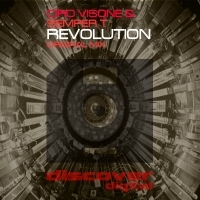 Ciro Visone and Semper T collaborate next for Discover Digital with a cool single tracker, Revolution. Epic chords and sweeping key changes build towards the breakdown which adds a haunting top line and plently of uplifting class. 'Revolution' is available now from Beatport and iTunes.